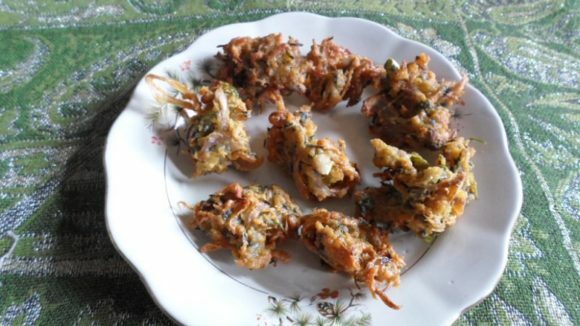 This is a Recipe for preparing at home crisp and spicy Maharashtrian Style Khamang Churmure or Murmura Chivda. Preparing this Chivda does not take much time or effort and can easily be prepared at home using this simple and easy to follow recipe. Take Fresh Puffed Rice (Murmure). Heat the Oil in a Kadhai and add the Mustard Seeds, Asafetida, Curry Leaves, Peanuts and fry for a minute. Then add the Salt, Red Chili Powder, Turmeric Powder and Puffed Rice and mix it well and fry for 2 minutes on a slow flame. Add the Powder Sugar mix it well and fry a minute on a slow flame. While serving garnish with Onion, Tomato, Coriander and Sev.